Hi Everyone! Hope you all had an amazing Christmas. I'm taking this time to catch up on some blogging and also spend some quality time with my family. 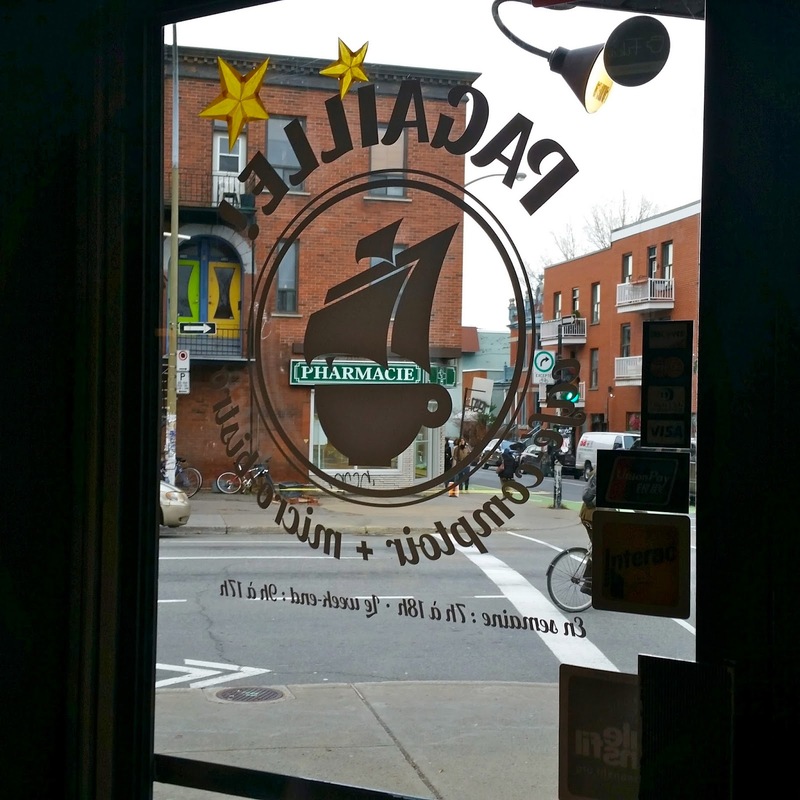 Pagaille Café is a great coffee shop that offers smoothies as well. 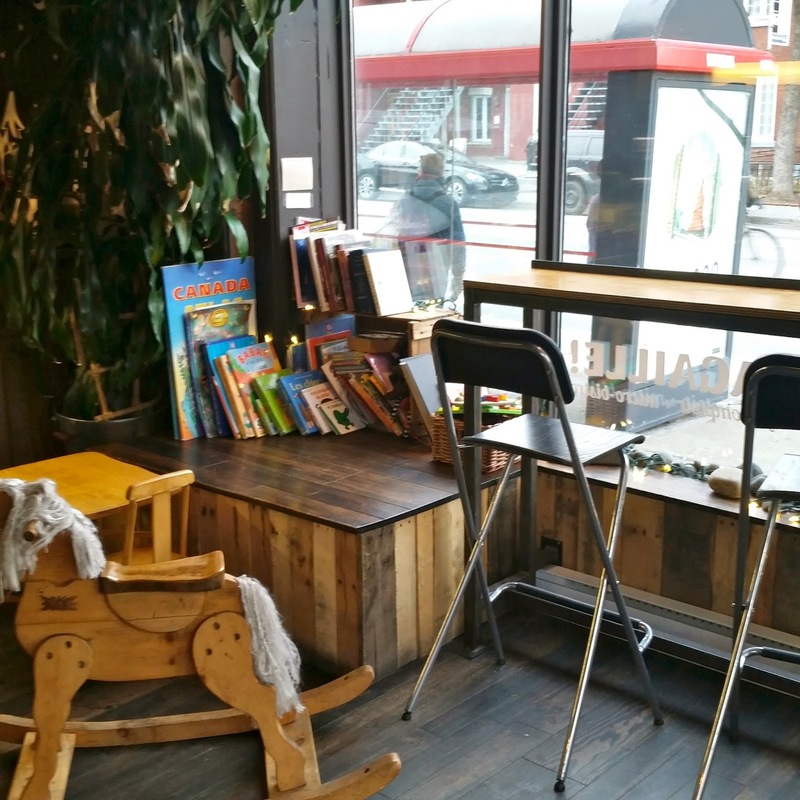 It's very child friendly with a corder dedicated to kids with a rocking horse and books to read. 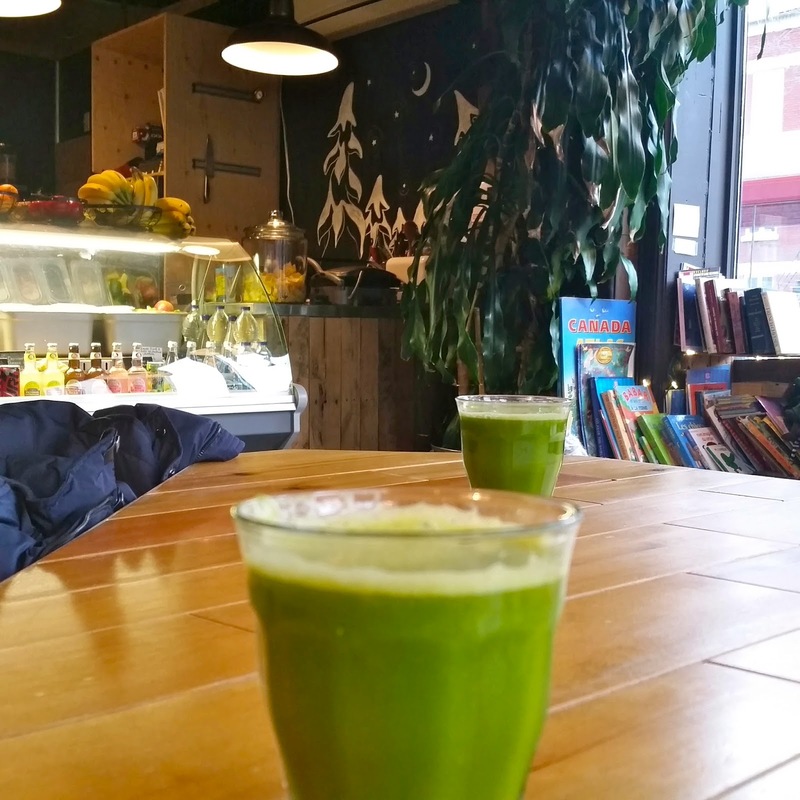 I enjoyed my latté while my friends J and C had delicious green smoothies. I tasted a bit and they were actually very refreshing! It was such a great stop on a freezing cold day. I loved the wood all around and the plants. They also had great art hanging everywhere. Another great spot on the ICP. Christmas = green, red and sparkles!!! 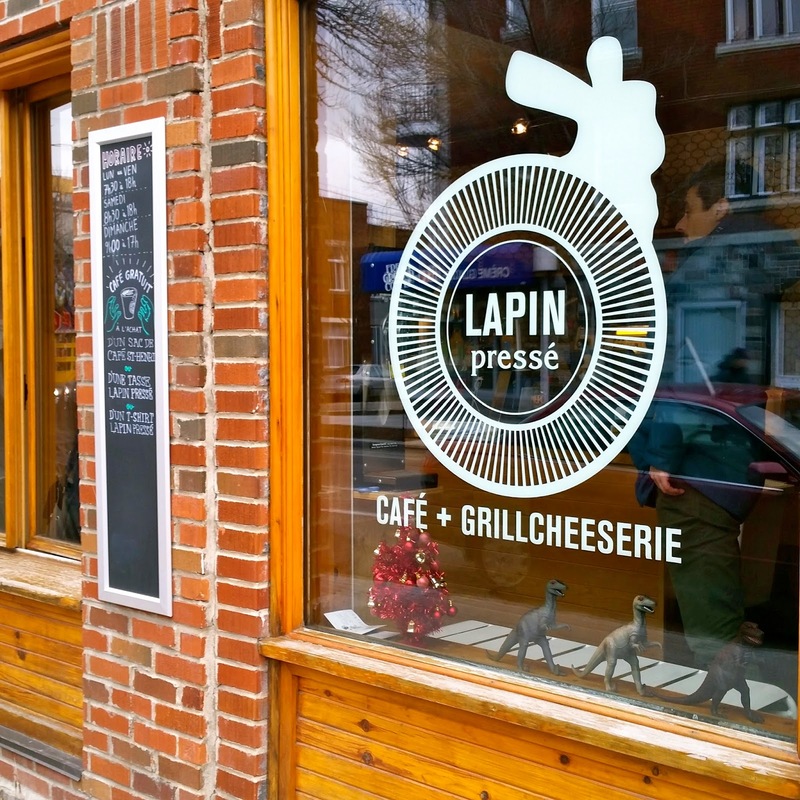 Le Lapin Pressé is a very cozy space in the Plateau with the cutest logo. 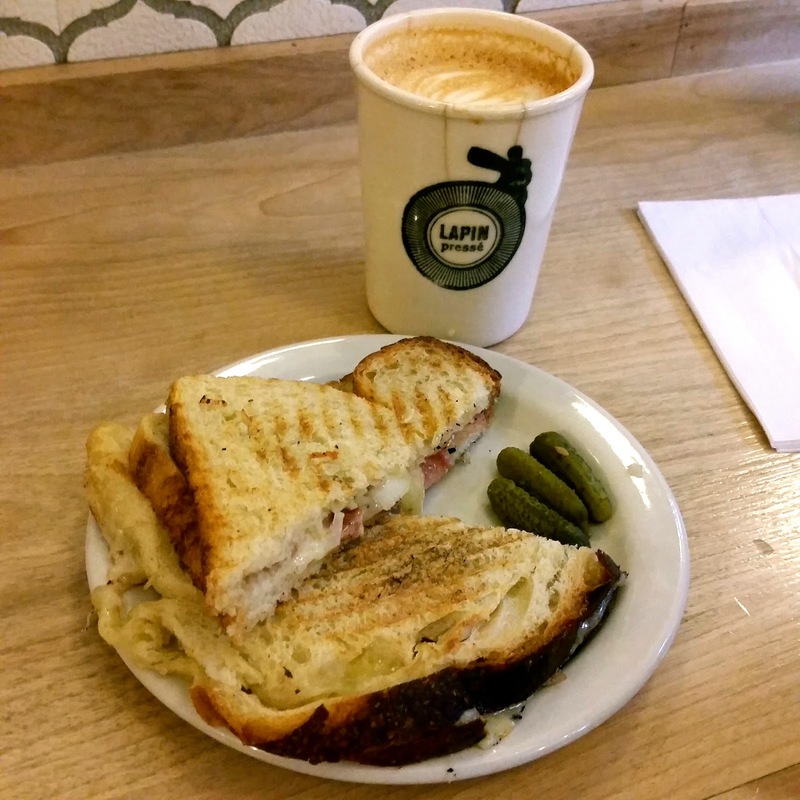 They serve coffee, as well as soups and salads but their specialty is grilled cheese sandwiches! Their sandwiches are creative and you can chose what type of cheese as well as what meat (if any) to go inside. It’s a great spot to work since there is free wifi and lots of outlets in the wall but the space is small and I would feel bad taking over a seat for a long time. Despite the square footage, I was still impressed at the number of seats available! I found the food to be a bit on the pricey side, but it definitely reflects the quality. 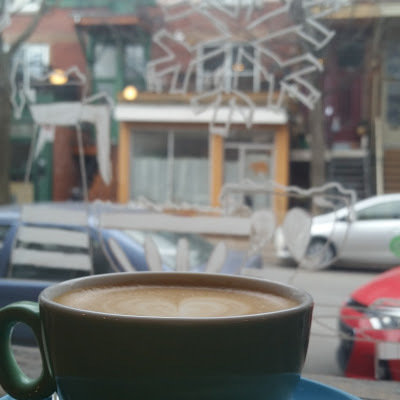 Overall, a unique concept and a great neighbourhood café to spend a Saturday morning in. Hi Everyone - today's café marks number 14 on the list. 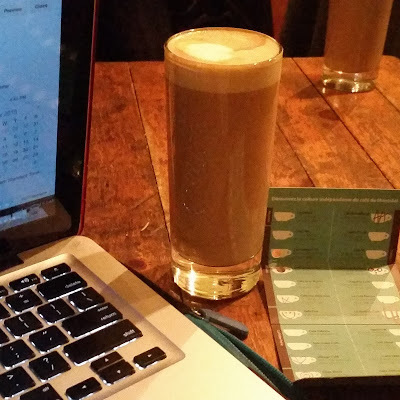 We are about half way through the Indie Coffee Passport now! To start off, I don't know what Sfouf means (trust me, I already tried to look it up and to translate it). There were a ton of different kinds of customers here, from students to couples and even families with small children. 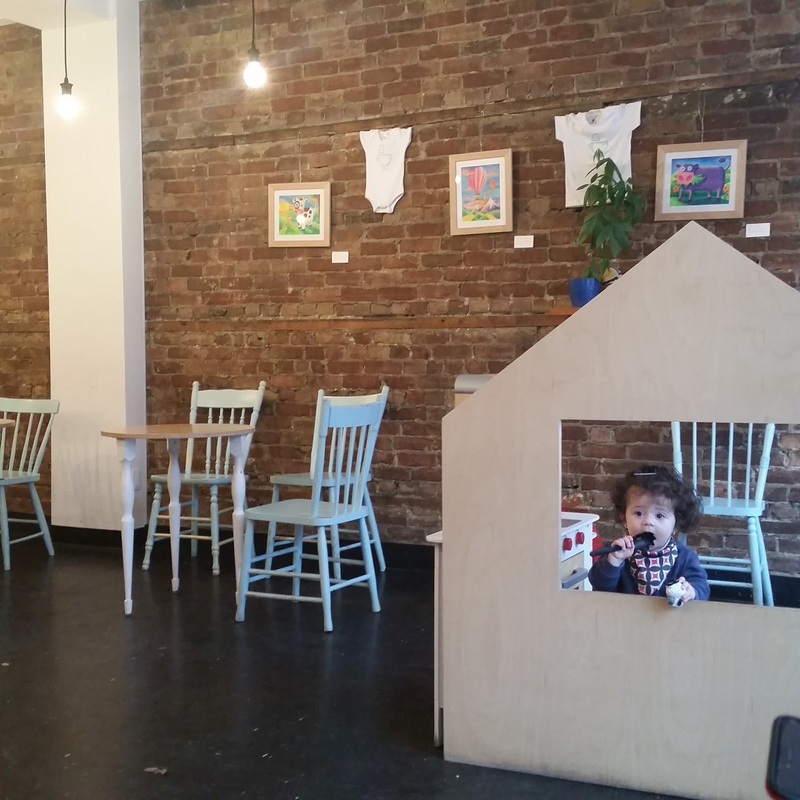 I'm very surprised and impressed and the number of Montreal cafés that cater to families with children! Sfouf had a small corner dedicated to children with toys and games. I loved the set up of this cafe. There was so much natural lighting in Sfouf and I loved the warm sun on my face. There were floor to ceiling windows which seem to have been converted from 2 large garage doors. Sfouf also had a of plants everywhere which I loved! Their menu is extensive and the home-style food looked so comforting. I visited between meals so I wasn't hungry enough to order anything other than my cappuccino (classic Melissa) which came with a delicious cookie. 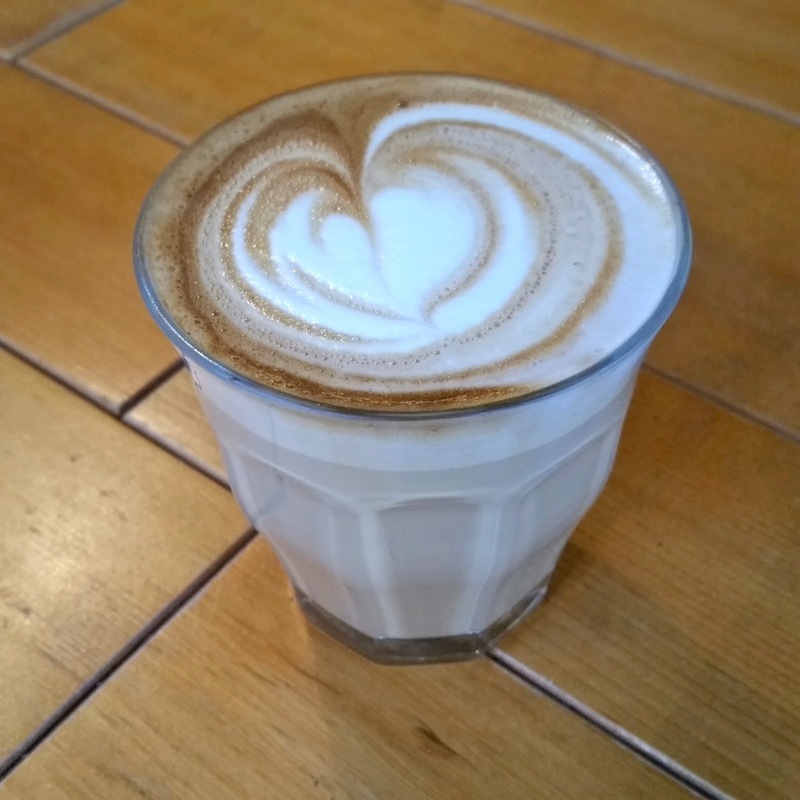 The drink list had something called Lait D'or which was milk infused with honey, cardamom and other spices. I was very intrigued, but also worried that the milk might be too much for my sometimes temperamental and sensitive stomach. If you ever find in the Village, do yourself a favour and stop in for some warm soup and coffee! I'm sure you won't regret it. 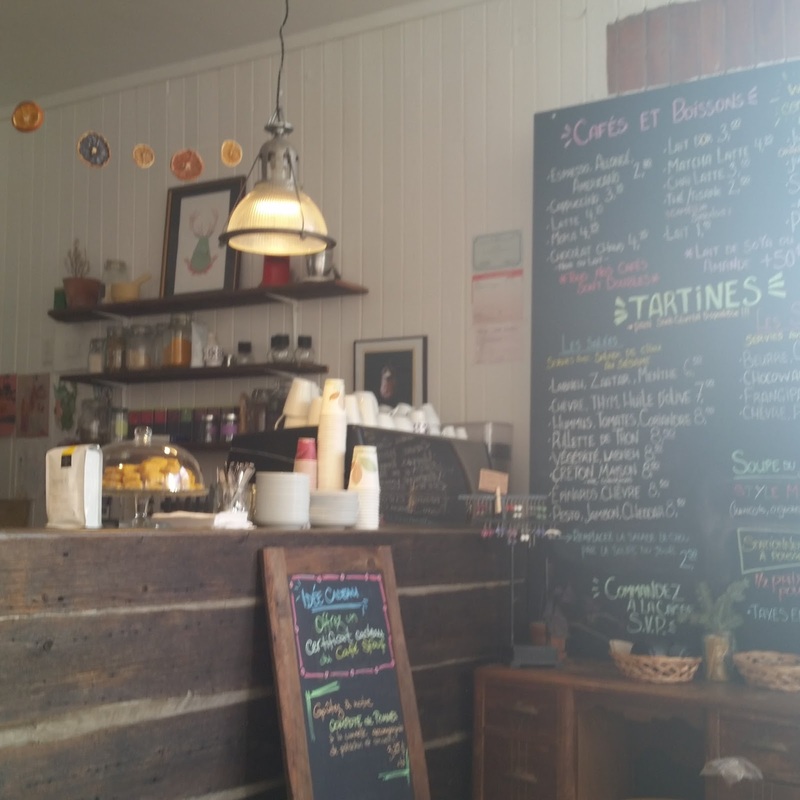 Le Dépanneur Café is such a cozy and comfy place in Mile End. 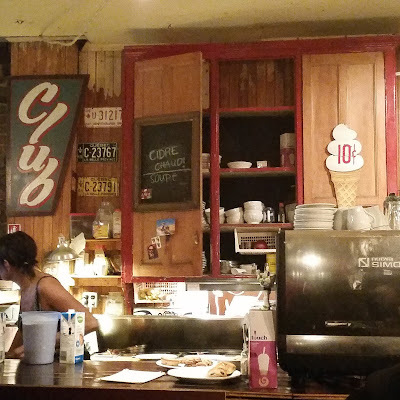 The decor is very cottage-chic with lots of wood furniture, exposed brick walls and old signs. 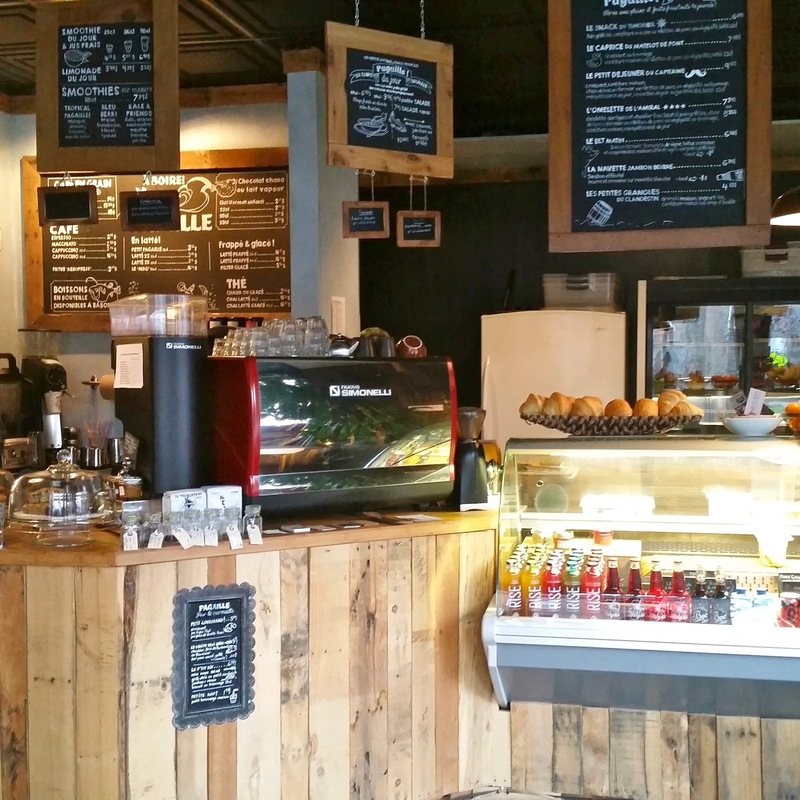 They serve breakfast food, sandwiches, soups, cakes and other pastries. 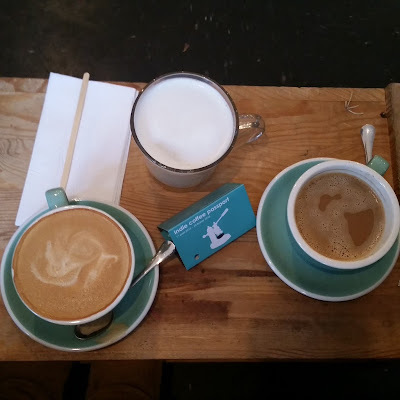 We enjoyed lattés, and I took the time to catch up on some blogging while enjoying the live music, which was my favourite part! 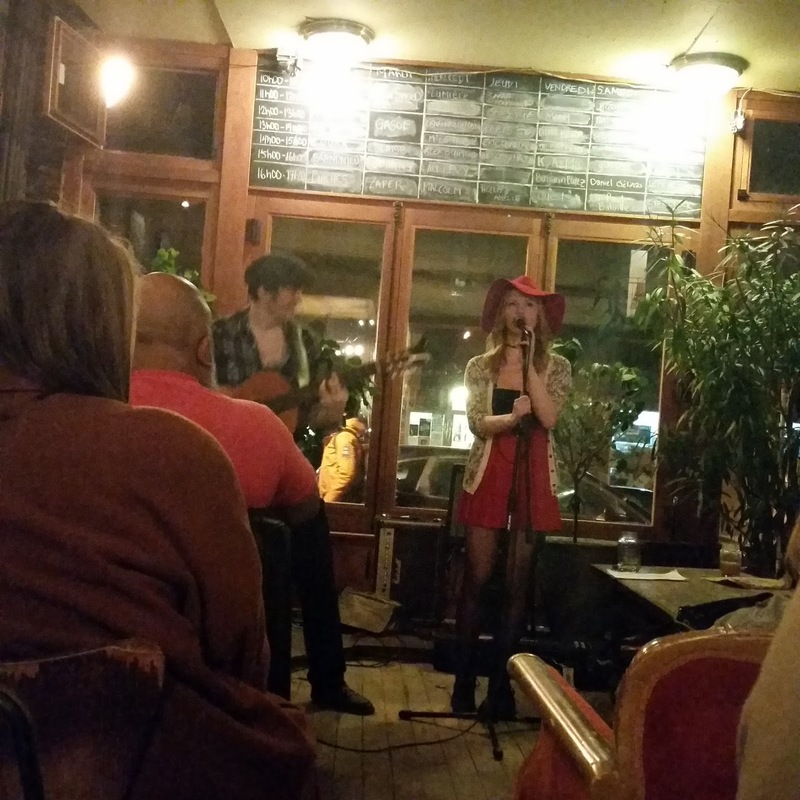 We were lucky enough to see 2 different groups of performers and both were amazing. The stage area is surrounded by couches where people can really focus and enjoy the music. The whole café stopped and clapped at the end of each piece. I thought that was so nice since performers can be easily ignored. If this café was closer to my place I would absolutely come back here more often to support other local artists and rising stars. All in all, I loved this place and would highly recommend it! 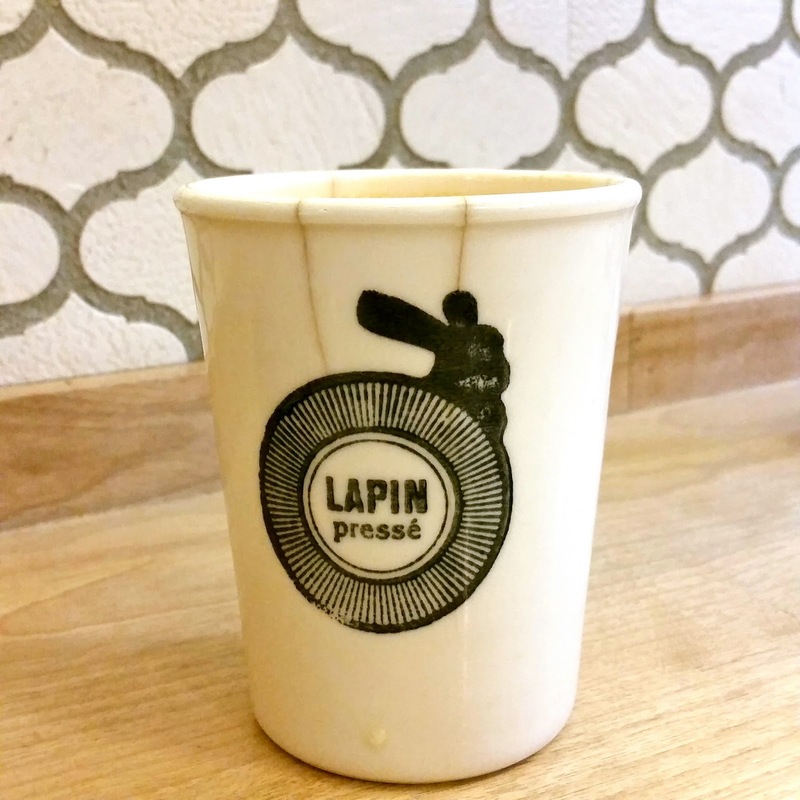 Stay tuned for more Indie Coffee Passport adventures! Chez Boris is an amazing café / donut shop located in the Mile End, just steps away from Café Résonance (another favourite of mine). They are mostly known for their fresh Russian-style donuts and creative sandwiches. We ordered a basket of 6 donuts to share - chocolate, cinnamon and sugar. They were so warm and absolutely delicious!! Anyone that knows me knows that I don't like sweets that much, but luckily these donuts were semi-sweet and just right. 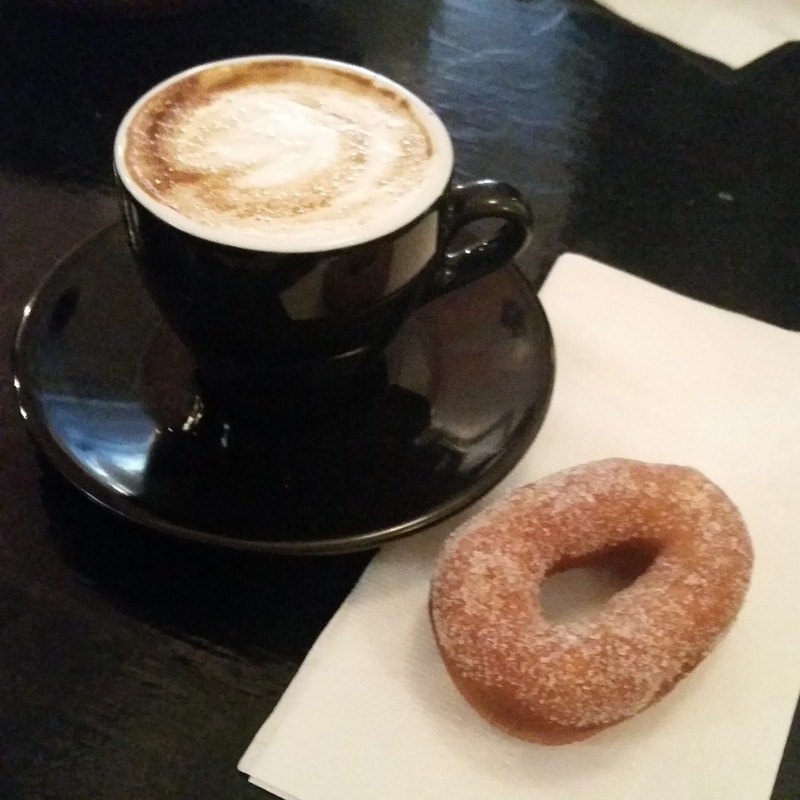 I had a wonderful, perfectly-balanced cappuccino to compliment my donut(s). The café was really busy with people taking donuts and donut sandwiches to go, and it was also filled with students studying. I really empathize with those going through finals right now! My only complaint was that the sweet smell of the donuts started getting to me after an hour so I couldn't stay too long. 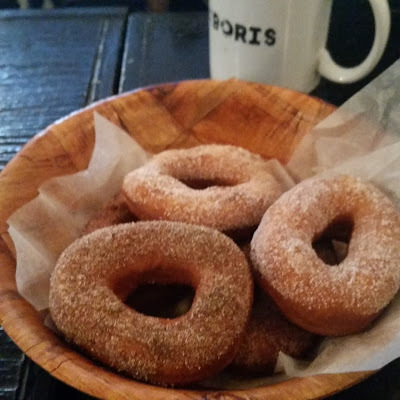 If you are an early bird, they offer a free donut with coffee in the wee hours of the morning. If you're a night owl, Chez Boris has an After Dark Event on Fridays and Saturdays where they offer a dinner menu and show a short horror film. 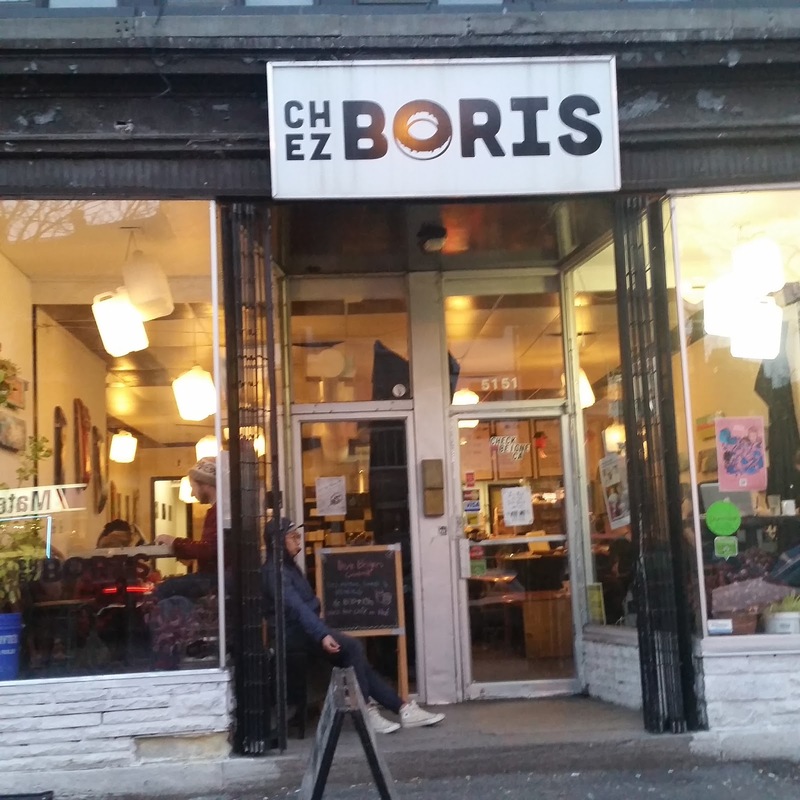 All in all, Chez Boris really hit the spot for me! Check out their website and facebook page for more information. We started at a cute little café in the Plateau called Le Moineau Masqué this afternoon. 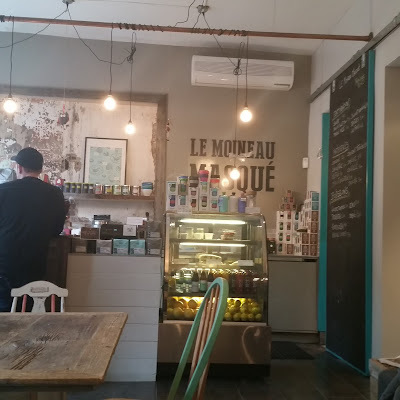 It's located around the corner from the Mont-Royal Metro but far enough from the bustle of the area in a very quiet corner. This spot was super cute and had a very relaxing atmosphere. I loved the exposed brick and wood furniture. We sipped on our delicious lattés while chatting about our work Christmas parties and holiday plans. 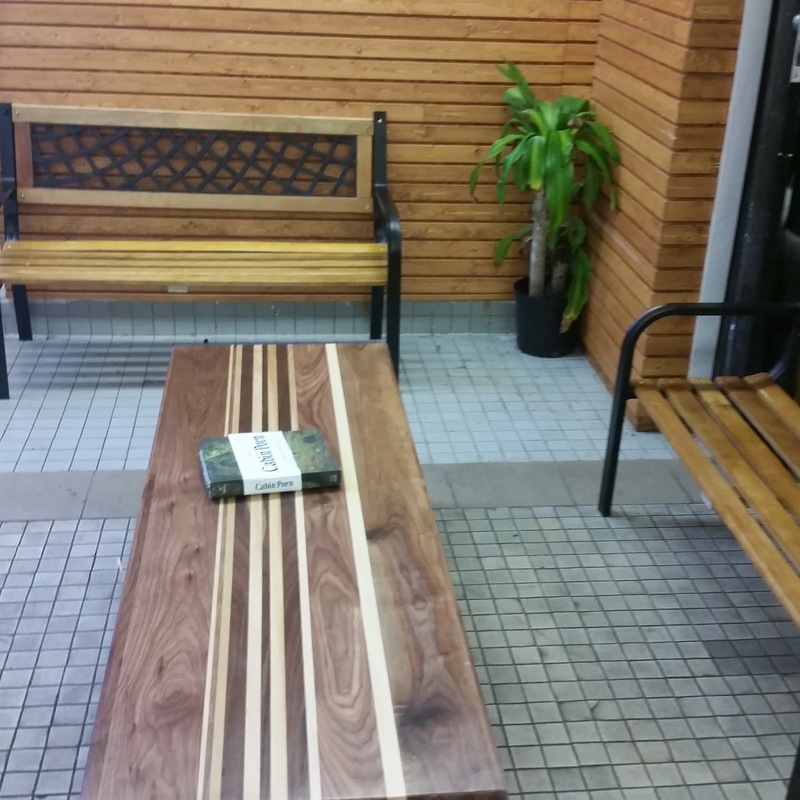 We noticed that there were certain tables that were specifically marked "no laptops" and soon found out it was only implemented on the weekends to encourage a laptop-free area for families. 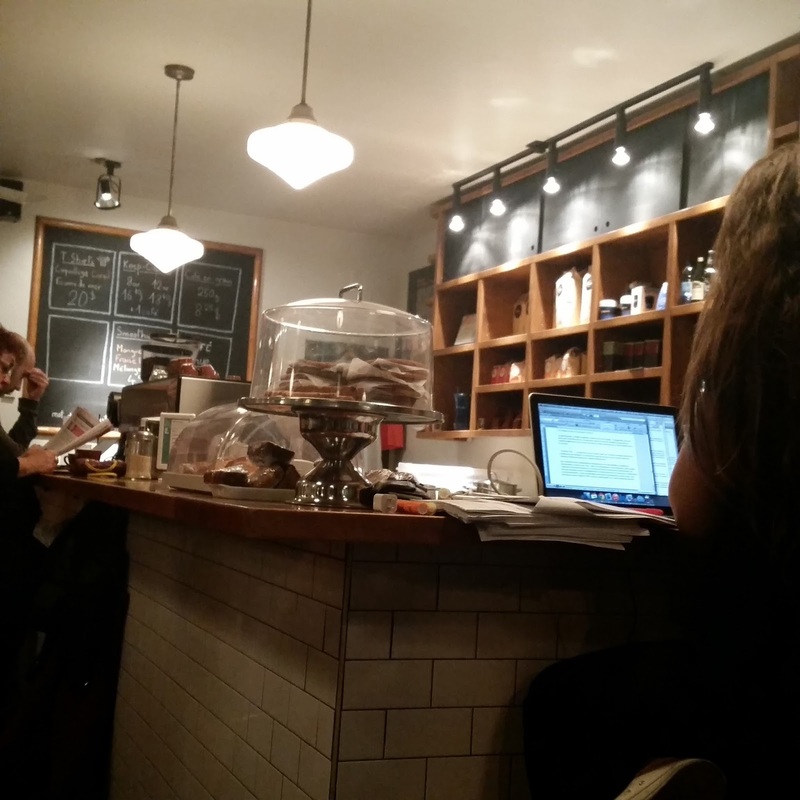 There were of course a few tables in the back where people studied and used their laptops. 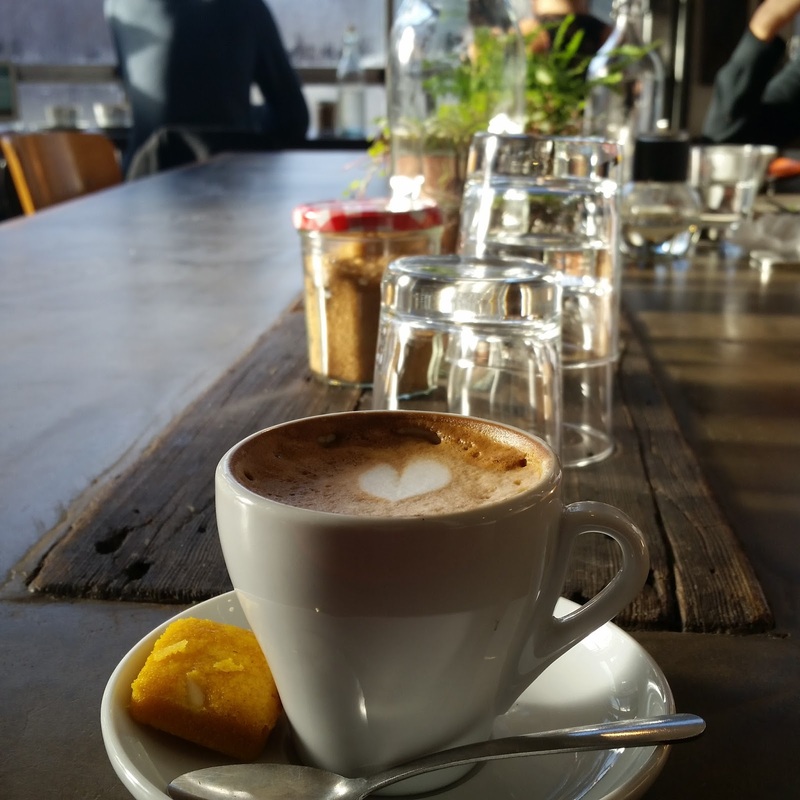 I really enjoyed this café and the atmosphere and would highly recommend it if you're looking for a place to enjoy a snack or coffee with friends. 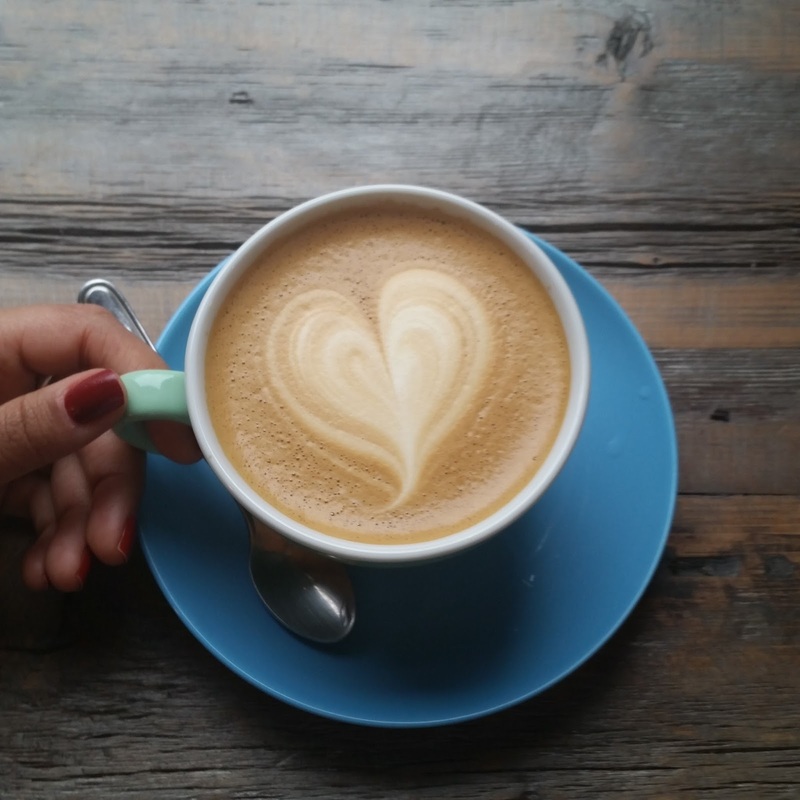 Stay tuned tomorrow for the second café! Hi Everyone! My outfits posts have been a bit sporadic lately. I am going to try to get organized for the new year and have a clearer schedule for my posts. Until then, I hope you enjoy these outfits! I decided to wear a cheetah tank under this white blazer for layers. I really liked the combo when I first tried it on but now that I am seeing the photos I'm not sure that I'm a fan of this outfit any more. It seems a little boring and maybe a bit too crazy for the office! Thoughts? This outfit is comfortable and also stylish enough for a business casual office setting. I like the patterned teal sweater paired with a tighter grey pencil skirt. 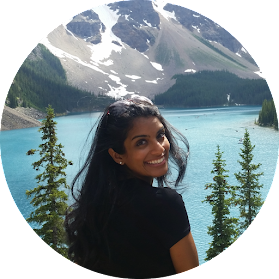 I'm all about versatility, and this sweater can be dressed up or dressed down in so many ways! This white blouse is a go-to top for me! I love that I can wear a blazer on top of it for work, and then ditch the blazer to show off the gold studded collar for an evening out! Although it's a bit hard to see, these metallic booties are easily over 6 years old! I love finding a way to wear old pieces again! Last but not least, I rediscovered this old graphic tank top in the bottom of one of my drawers! I paired it with leggings, tall boots and a cardigan for a café day with friends! Comfy and stylish - check! 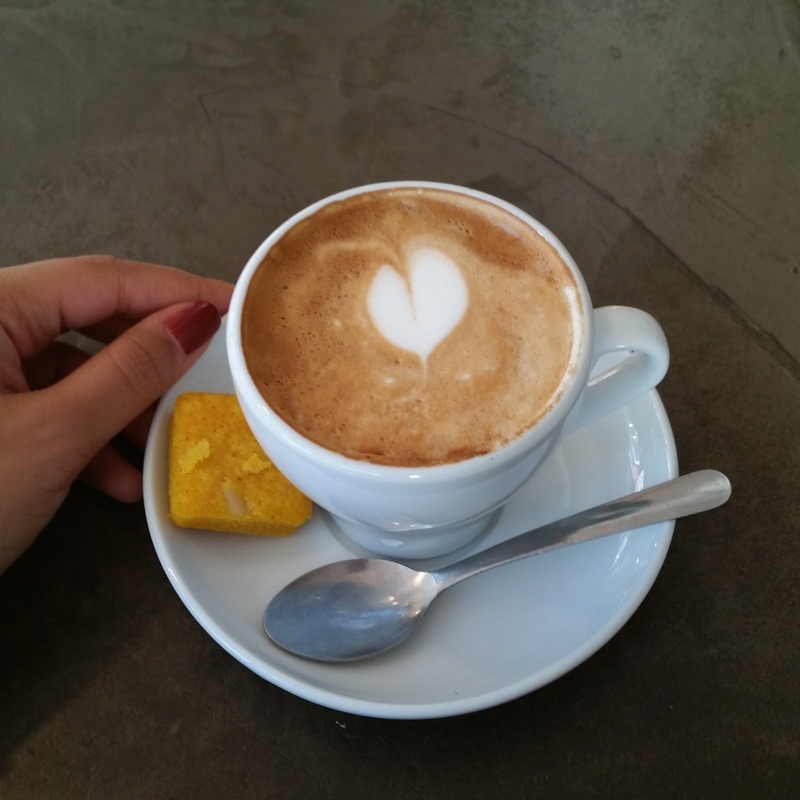 The coffee adventures continue! 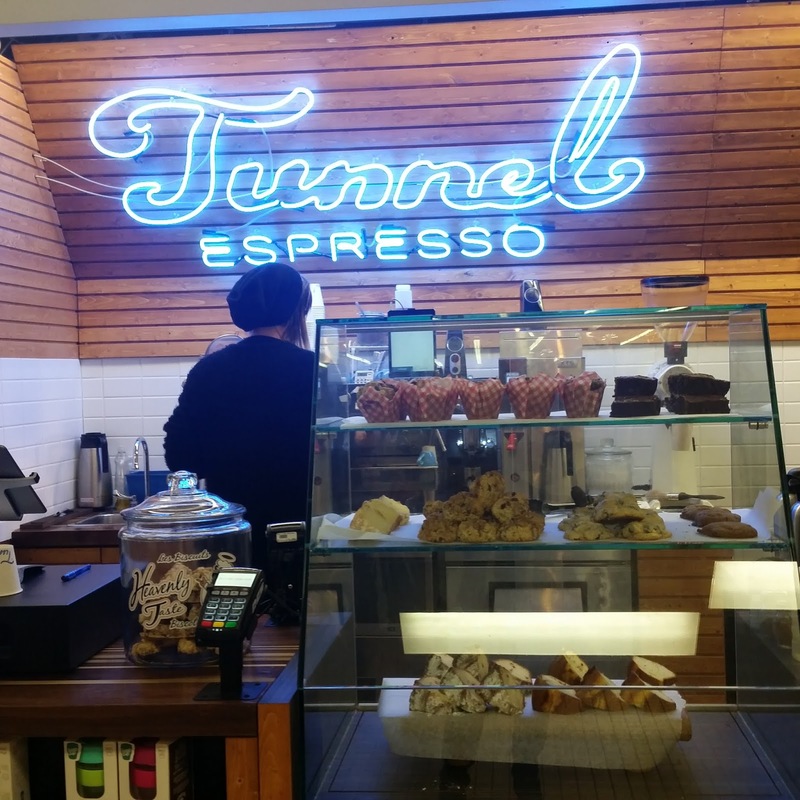 I previously wrote about Tunnel Espresso bar here in the underground mall connecting Place Montreal Trust and the Eaton Centre. Tunnel Espresso recently opened another location at the Peel Metro on Stanley. It's a perfect location for busy folks who want to grab a quick delicious cup of Joe without having to go out of their way. 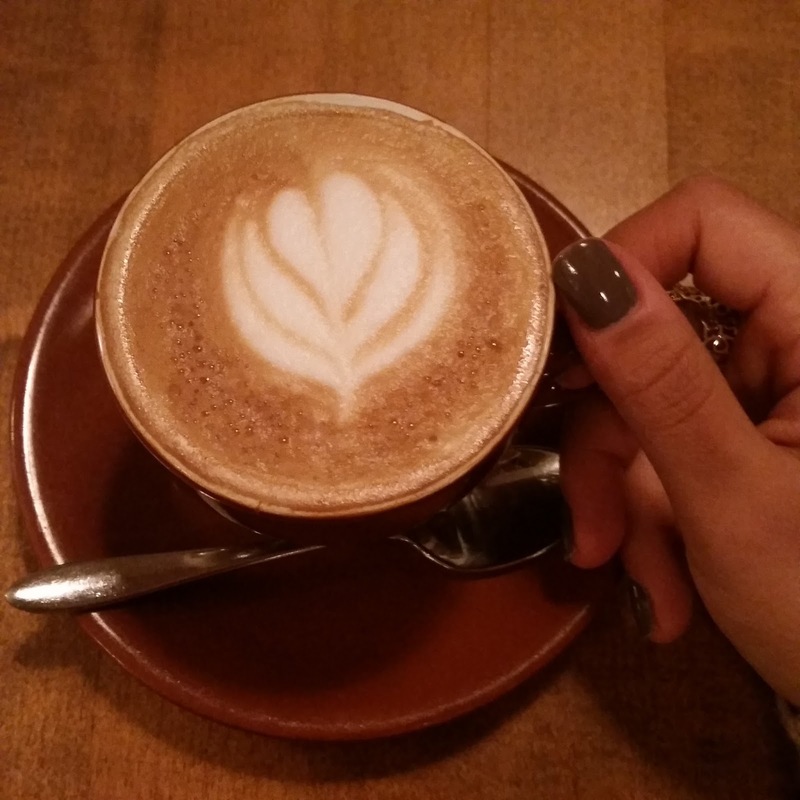 Just like the original location, Tunnel Espresso has great lattes and pastries to snack on. 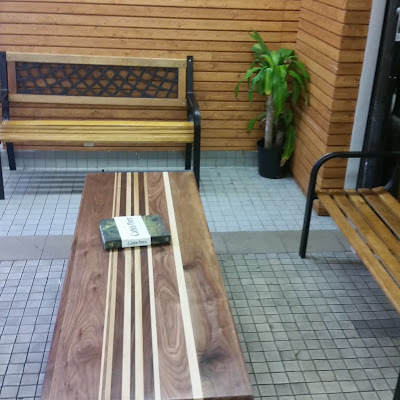 they even have a small nook with benches so you can sit down for a few minutes and enjoy your coffee and snack. 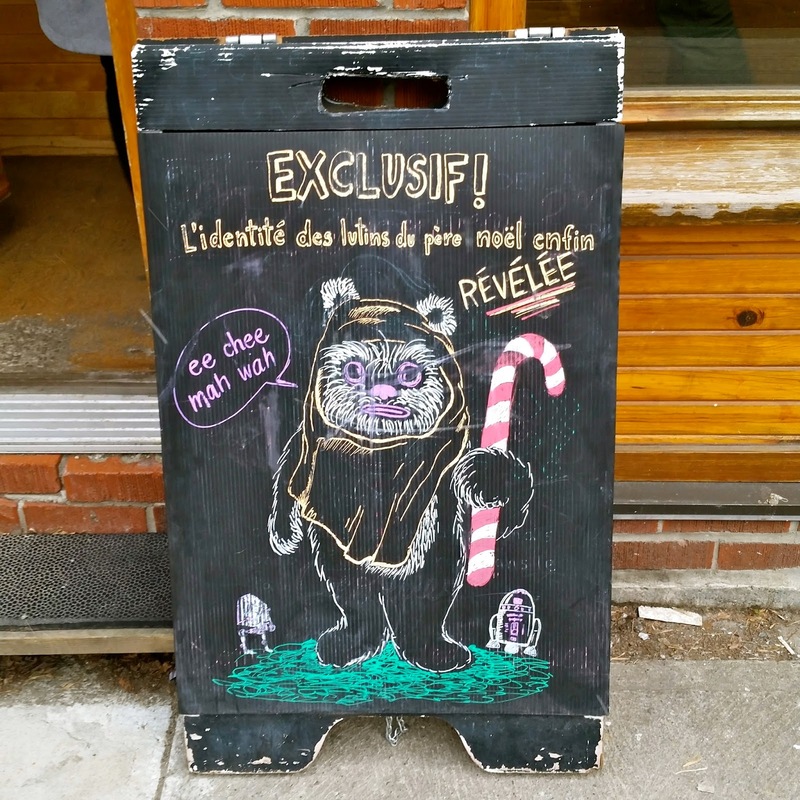 The only difficult part is getting there during their opening hours since it's open Montreal to Friday from 7:30 am to 5 pm. 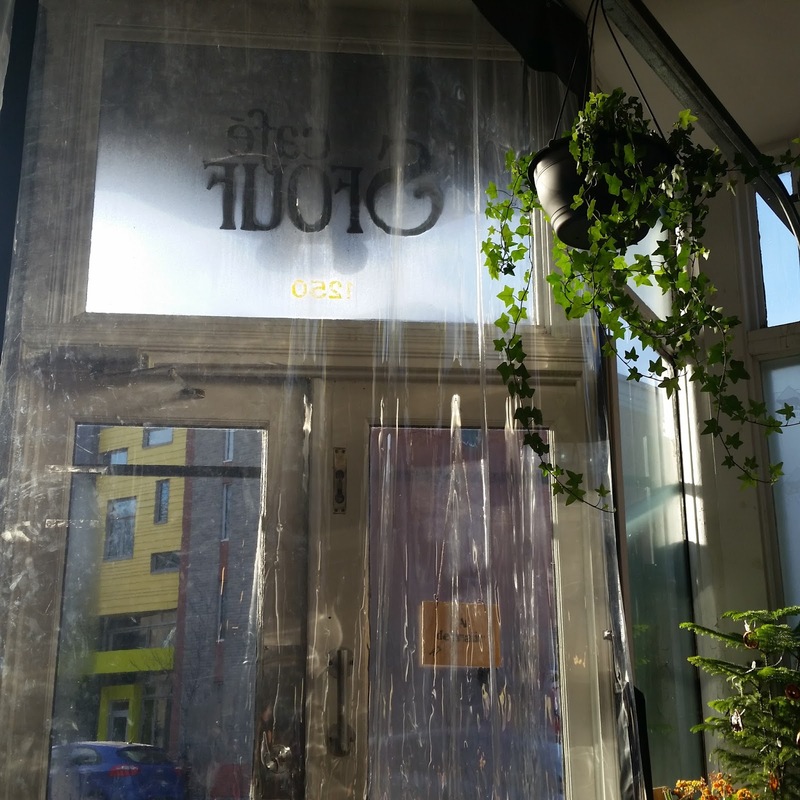 I'm so happy that this café was included in the ICP list and would really encourage all of you to try it out if you get a chance! Hi Everyone - hope you are enjoying this relatively mild winter we're having so far! I hope that it stays this way for a little while longer. I have been very inspired by Pinterest lately and am trying to recreate outfits with pieces that I already have hanging in my closet. I would have never thought to button up and tuck my cardigan into my skirt. The look below ended up being very comfy and I liked having the extra layer. I had almost forgotten about my comfy grey pencil skirt from Jacob. Paired with my loose Express blouse was an easy way to add some colour to this outfit. My beige Sloan pants from Banana are quickly becoming a favourite! I never thought I could pair black and brown together but I'm warming up to it. Added a little colour with my red cardigan to my otherwise neutral outfit below. I love how you can dress up or dress down the skirt. This comfy plaid dress is a favourite fall and winter piece of mine. It has leather details in the neckline, sleeves and pockets. I paired my navy blazer over it to wear at the office. I also didn't think black and blue (navy) would work together but this outfit proved me wrong! Thanks for letting me share my outfits, and wishing you all a great week ahead. This is the second LaRue et Fils on the ICP and it's just as cute as the first one! 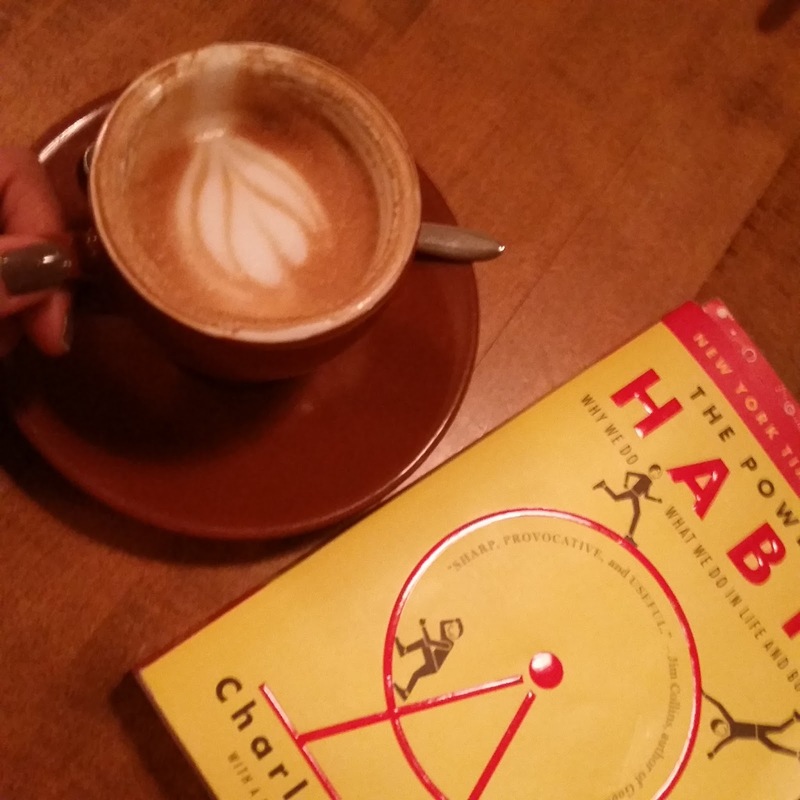 I loved my cappuccino and had a chance to read a book called the Power of Habit (I highly recommend it) while sipping on my java. 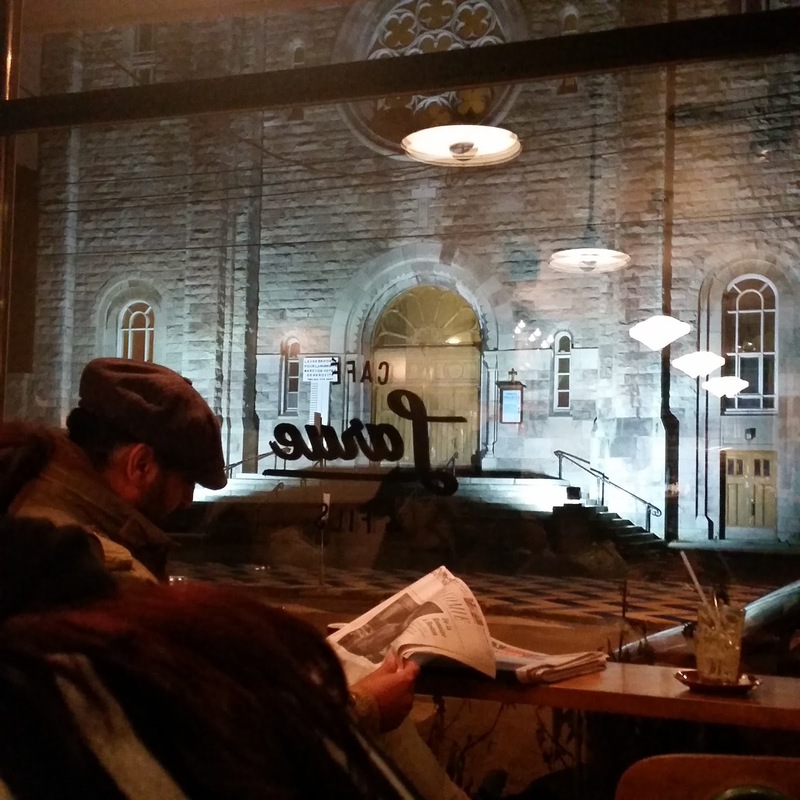 My favourite part of this café is that it looks onto a beautiful church. Overall, another great spot with awesome coffee. 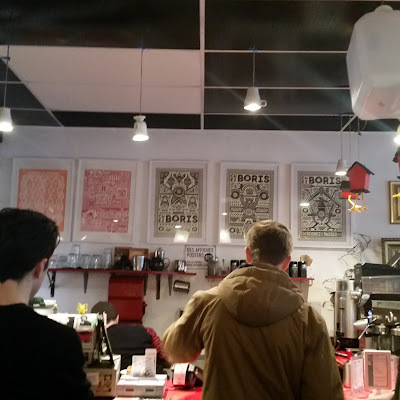 The ICP coffee adventures continue at Village Café! We stumbled upon this café on our way to a Odessa (also on the passport) and decided to park ourselves at Village instead for another cup of joe! Village was not at all what we were expecting! This spot is catered to families with young kids. It's a very cute place where parents can meet each other and recharge while their kids play. 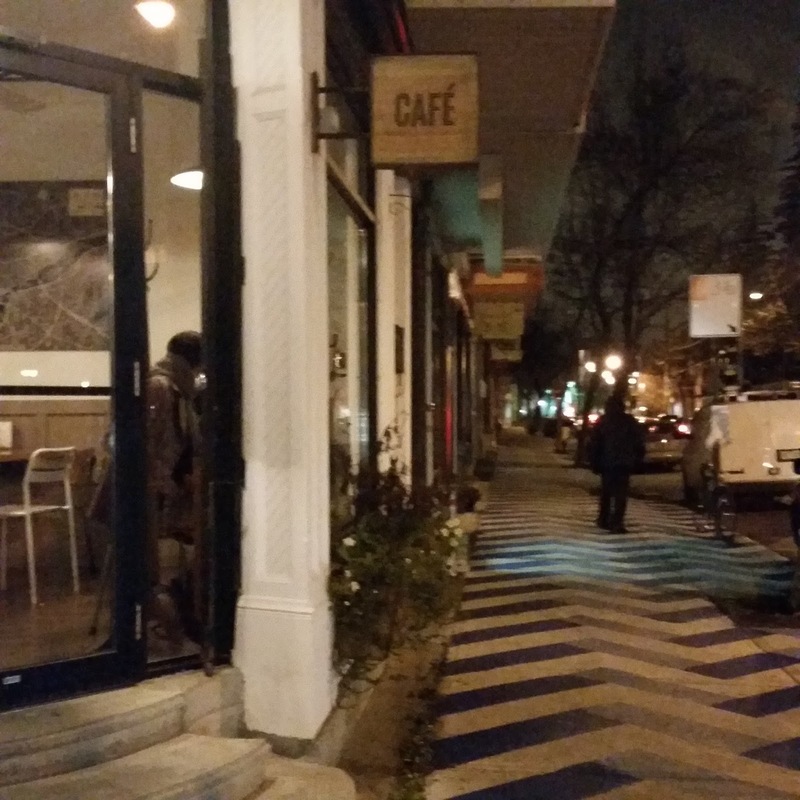 This café even had stroller parking section in the back. We sat by the main window in a little nook that was perfect for getting cozy with a good book! 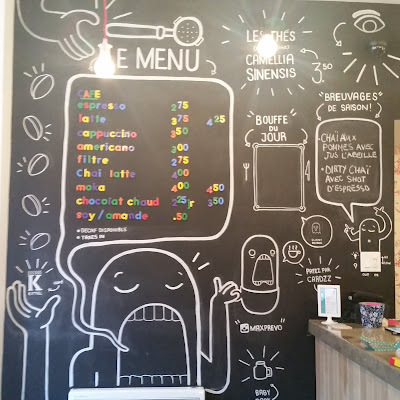 I immediately loved the set up of the counter, especially the way they designed the menu with colourful magnetic alphabets! I ordered a decaf latte and we sipped on our coffee while enjoying the music and watching kids be kids. It was hilarious to see how they played and also interacted with each other. While I enjoyed my coffee, I don't think I would come back here. 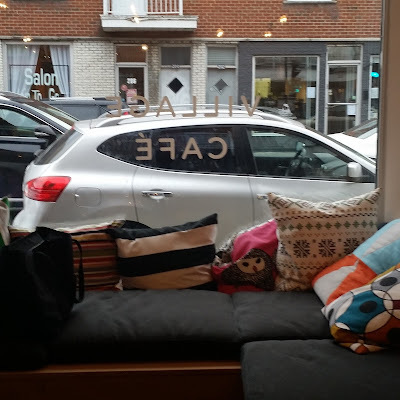 I do like the idea of family friendly cafés and Village is unique since it brings together the community through their play areas and their yoga classes! 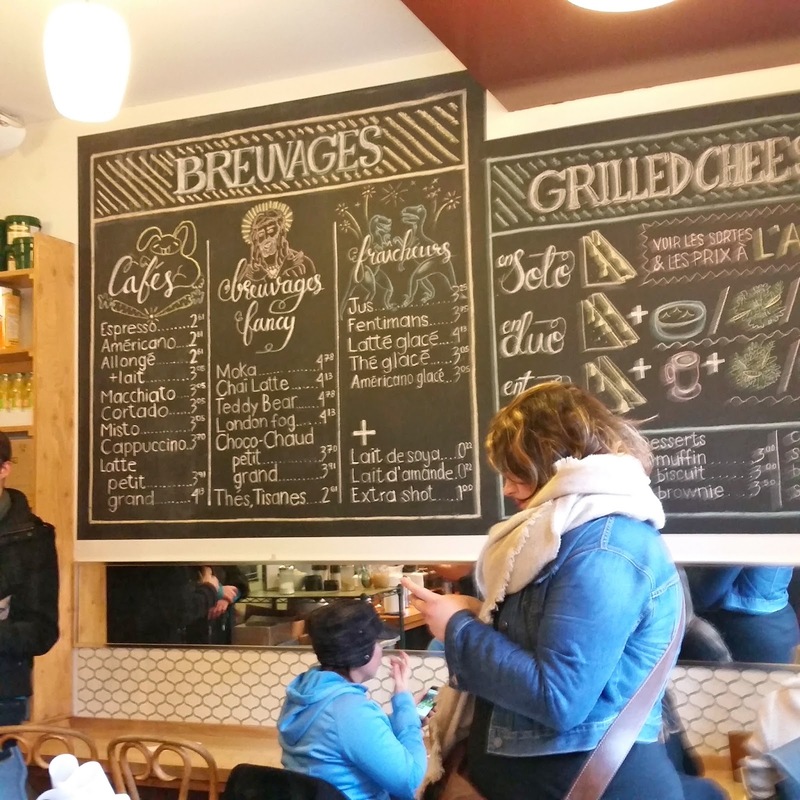 They say it takes a village to raise an elephant and this café is a testament to that!